Christian Siriano is not afraid to stand out. 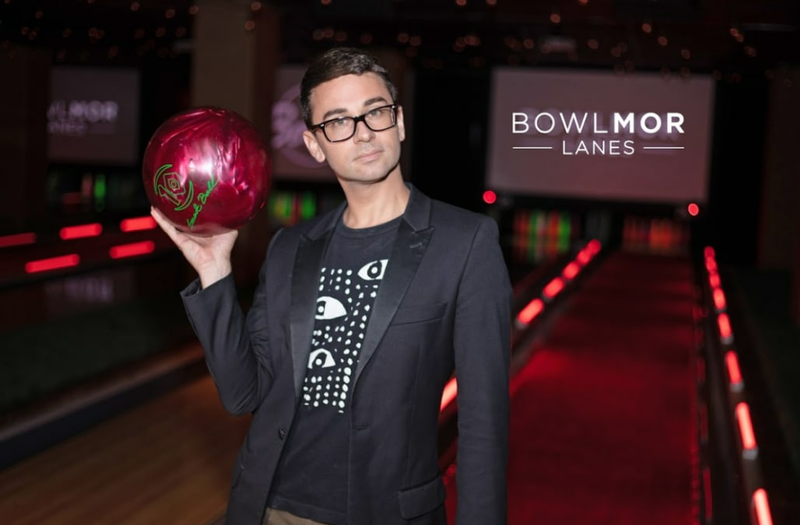 AOL.com caught up with the designer at the VIP fashion show at Bowlmor Times Square, where he unveiled Sam Riley, a current FIT student, as the winner of the #BeBowled Shoe Design Challenge alongside HQ Trivia's Sarah Pribus. As a top designer who dressed 17 A-listers just for this past Oscars (including Amy Adams and Kelly Ripa), it's always nice to see someone with a tremendous career show up to support young emerging talent. "I think it is important to go for it and push yourself and to try new things like this. I remember when I was a young designer, just starting out, I tried everything. I did all kinds of contests and projects. It’s a good experience for yourself and to push yourself. ‘Could I design [bowling] shoes like this?’ When I first got my first shoe collaboration, I didn’t know I could design shoes, but I learned over the years. It’s all good learning experiences," Siriano told us. Tonight I had a blast being a judge for the #BeBowled Shoe Design Challenge at Bowlmor Times Square and helped select their new bowling shoe! Congrats @sammyrileyy on your win! Can’t wait to bowl in these at @BowlmorLanes and @bowlerobowl! Siriano is one of the first runway designers to not shy away from the female figure. His inclusive approach to fashion recently landed him a multi-page spread in O! Magazine's September issue. "I think they wanted to do a really great body celebration issue and obviously I was kind of one the first ones [designers] to put it out there for people to see," he explained. "I think it was really nice that they highlighted that and it was also really great to see all of these different types of women look so beautiful in one moment. Everyone is beautiful in their own way. It was all about color and simple silhouettes that look great on your body."